When Can I File Taxes in 2019? We get the question a lot “When Can I File Taxes in 2019?” We have the answer! 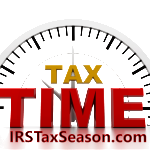 As a reminder, the IRS recommends filing early, but filing early is no guarantee of an early refund. There are many factors that go into getting your tax refund back such as your personal tax situation, how you file(efile or paper), your efile provider(such as HRBlock or TurboTax), IRS fraud procedures, and the tax forms you file. Could my 2018 tax return be delayed? Possibly. The IRS also has new fraud procedures that will take affect in 2019 to save millions due to tax fraud. These procedures might delay your IRS tax refund slightly. If I file early, how do I track my 2019 tax refund? Use IRS Where’s My Refund to track your tax refund.